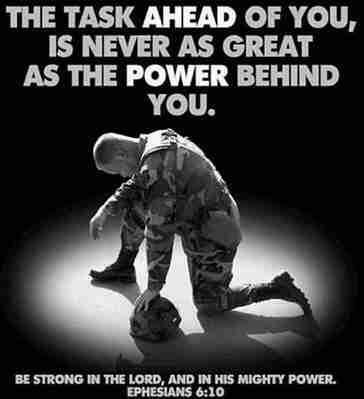 Lord, hold our troops in your loving hands… Protect them as they protect us. Bless them and their families for the selfless acts they perform for us in time of need. I ask this in the name of Jesus, our Lord and Savior. Amen. Of all the gifts you could give a Soldier, Sailor, Airman, Marine, Chaplain & others deployed in harm’s way, prayer is the very best one. Just wanted to let you know that we received that box of cards and beautiful letters … It had me in tears 😦 Thank you so much for all that you do and everyone that was involved … If you could pass that along from all of us we would be most grateful. As soon as I know who my replacement will be, I will give you their information. I hope that you have a safe & great Labor Day weekend. A CNN reporter was embedded with our guys and Delta Co. for awhile. If you go to CNN.com, you will find numerous videos of our guys. There will be another reporter joining up with Charlie Company soon but I am not sure who or when. Just in case I’ll start you off with one link and you can go from there.